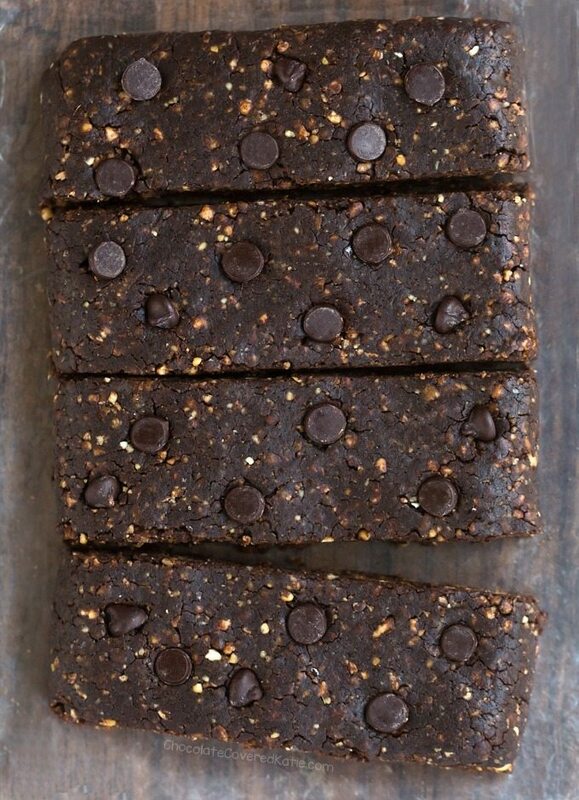 Paleo Bars - That Taste Like Chocolate Brownies! 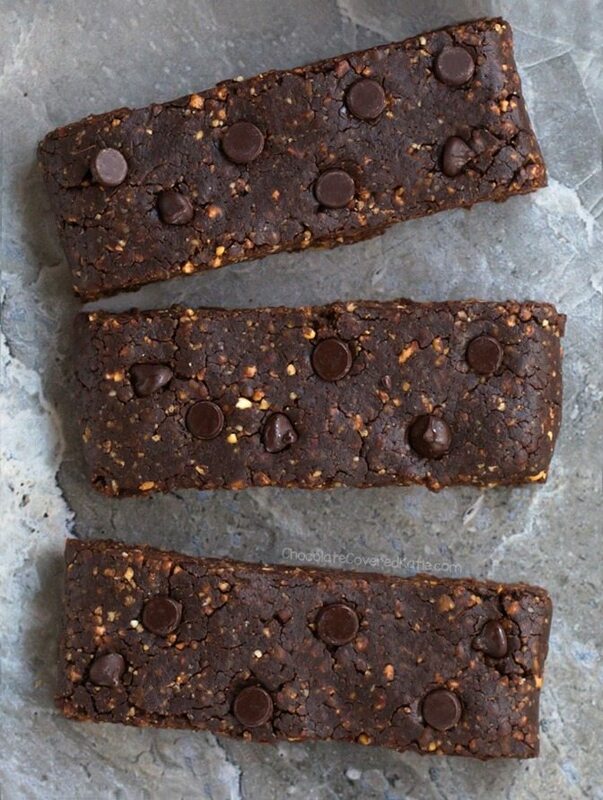 These fudgy chocolate paleo bars are a wholesome & filling snack that tastes like dessert! The best part about these completely vegan & paleo snack bars is that they don’t need to be refrigerated, making them a great “on the go” healthy option. If you’ve ever tried a store-bought Larabar, this is the same basic concept. 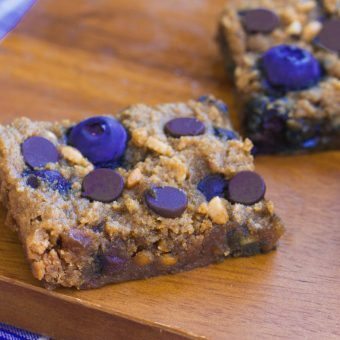 The bars are made up of wholesome ingredients, including dates, nuts, and antioxidant-rich cacao powder; and you can customize the recipe by varying the add-ins each time to make different flavors. 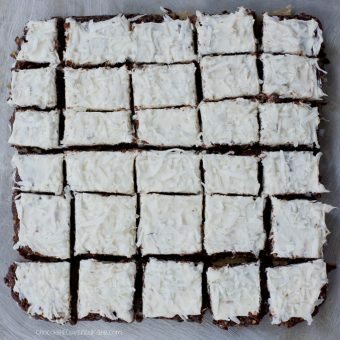 Chocolate Almond Joy Bars: Use raw almonds instead of walnuts, and add a handful of shredded coconut or 2-3 tbsp melted coconut butter before processing. 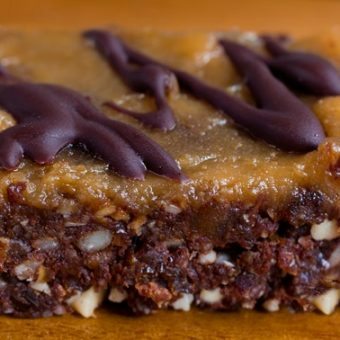 Nutella Paleo Bars: Use hazelnuts as your nuts of choice, and you can also add 1-2 tbsp of my Healthy Nutella Recipe if desired. Chocolate Orange Paleo Bars: Use cashews or walnuts, and add 1 1/2 tsp orange zest before processing. 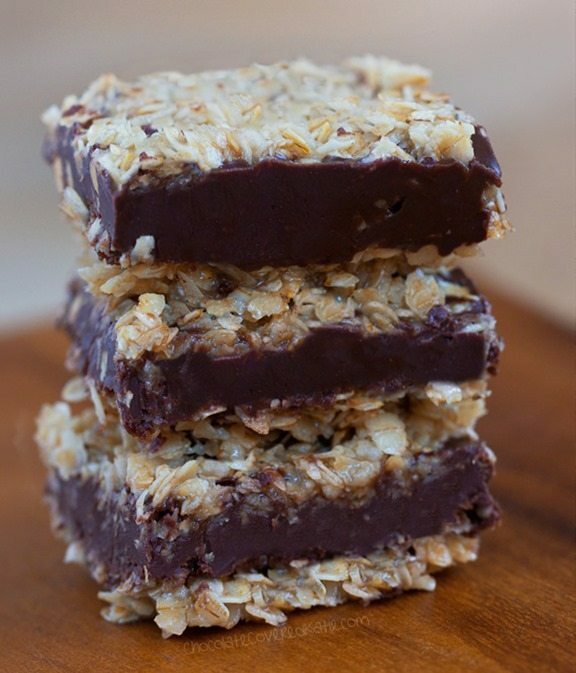 Super Chia Paleo Bars: Use any nuts you wish, and throw in 2 tbsp chia seeds before processing. I first made this recipe almost eight years ago… and it is still one of my favorites today! If you make the plain chocolate version or any of the variations, please feel free to post a picture of your results in the comment section below or tag ChocolateCoveredKatie on Instagram so I can see and like your pictures. optional chia seeds, shredded coconut, etc. *Medjool dates tend to be softer. If your dates are hard or dry, soak them in boiling water for a few minutes to soften them. Process all the ingredients in a high-quality food processor until fine crumbles form. (A blender technically works, but texture will be stickier and tougher.) 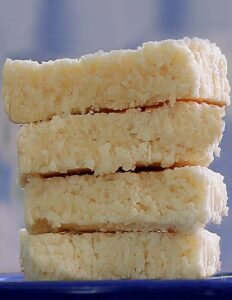 Smush into bars – I like to transfer the crumbles to a ziploc bag and roll out the dough from inside the bag. 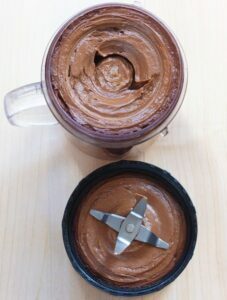 Chocolate chips can be added before or after processing, and feel free to experiment with different nut combinations. These look incredible! Totally trying the chocolate almond joy version. Oh wow, I never would have thought to try chocolate and orange! That sounds amazing! It’s been a while since I’ve had a larabar!! These are probably even tastier and cheaper! Thanks for the recipe, Katie! I am so excited for that chocolate almond joy one. Can’t wait to dust off the blender and try them! 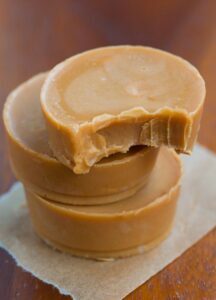 My daughter loves peanut butter how would I incorporate peanut butter into this recipe? I don’t think the nutritional facts page is loading correctly (I tried it with two different browsers). The recipe looks amazing though! 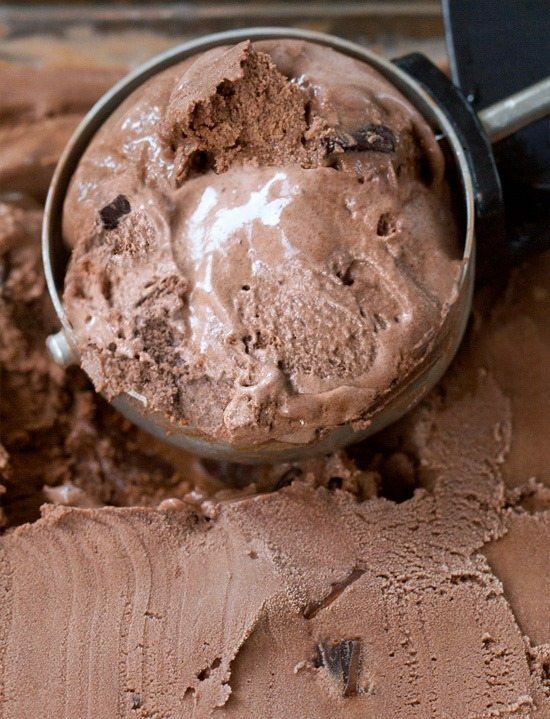 It looks really similar to the chocolate cookie pie crust recipe. Hi, it’s working for me. Can you let me know what error message you are getting? Thanks! Hi Katie, what an awesome idea! 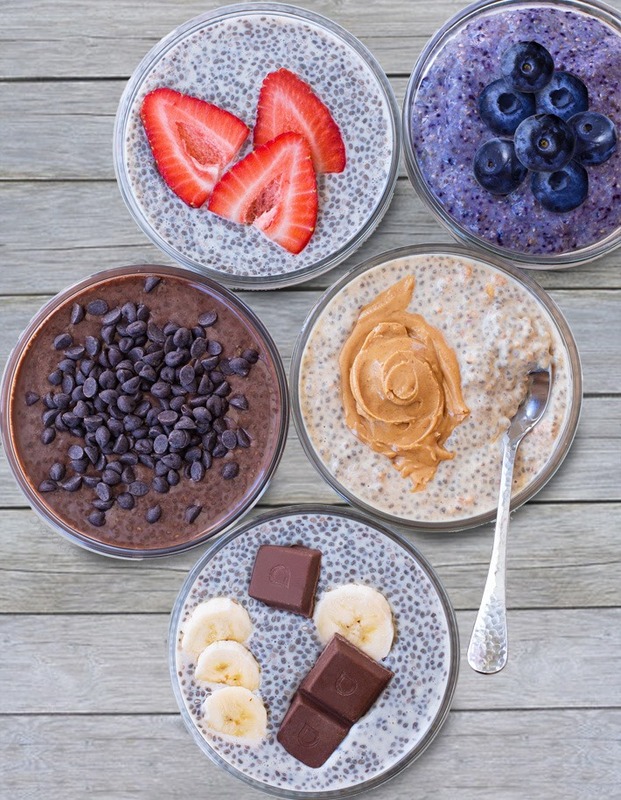 A quick question for you: don’t you need to hydrate the Chia seeds before adding them in? I just made your Hot Cocoa larabars recipe as a crust for your Healthy cheesecake of dreams last weekend! Two of my favorites. So good! I need to experiment more, though. I always stick to the same recipe- because I love it so much! Katie, in my gluten-free brownie bites, I use walnuts, like you suggest in your recipe. From the photo, I see you used almonds. So you probably tried a few varieties. What works best? Depends on the flavor you’re going for and your personal taste preference – both work well! These look amazing! I will have to try them with some orange, that sounds good! Thanks for sharing, I always love paleo recipes. These look incredible! I was wondering which online recipe nutrition calculator you use? I used to use CalorieCount.com, but they shut down, and I can’t find any other online nutrition calculator that gives me the nutrition facts PER GRAM or per WEIGHT rather than per serving. I was wondering what site you used to calculate this, as I would like to know the nutrition of my foo per weight, rather than “per serving”, as it is much more accurate! These tasted awesome! The only trouble I had was forming them into bars. They stayed crumbly. Should I have soaked the dates? I’ve never had that issue, but it sounds like either maybe the dates weren’t medjool? Or just process longer and the nuts will release their natural oils. Thanks for the tips! I will buy Medjool dates next time. These are so good. Seriously , they taste extremely brownie-like. I want to eat the whole pan. By myself, Right now. My kids are hounding me for more lol. Hey! Mine turned out to be very sticky and did not harden. I used fresh and soft dates, so what could have gone wrong? Delicious! Made the almond joy version this morning. Wow, I love them. 7 smartpoints for those of us counting. Way better than some of the energy bars out there. Thanks, Katie! Everything looks fab, Katie! I can imagine that these would indeed become my favorite bars!